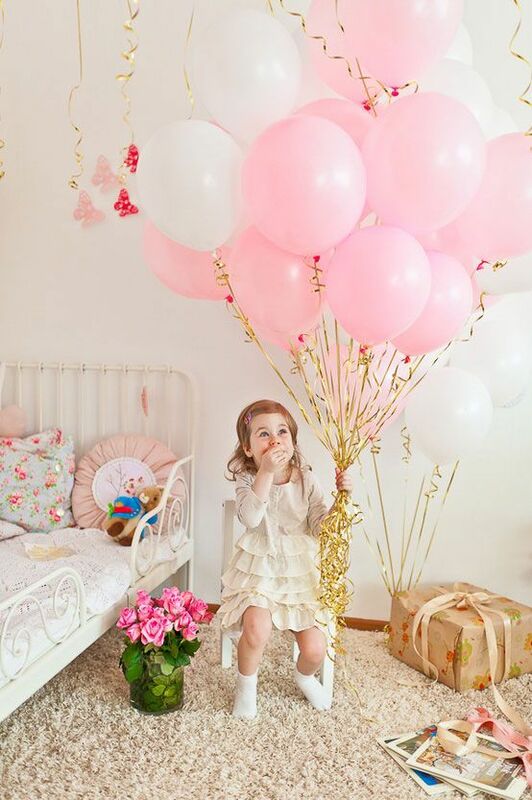 Balloons say “spring” to me. 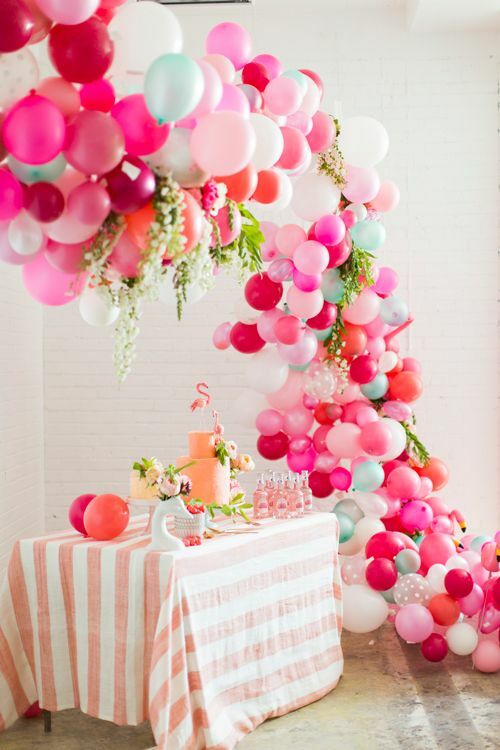 I got lost in a Pinterest hole looking at the prettiest balloon decor for parties, like this above from Petite and Sweet. 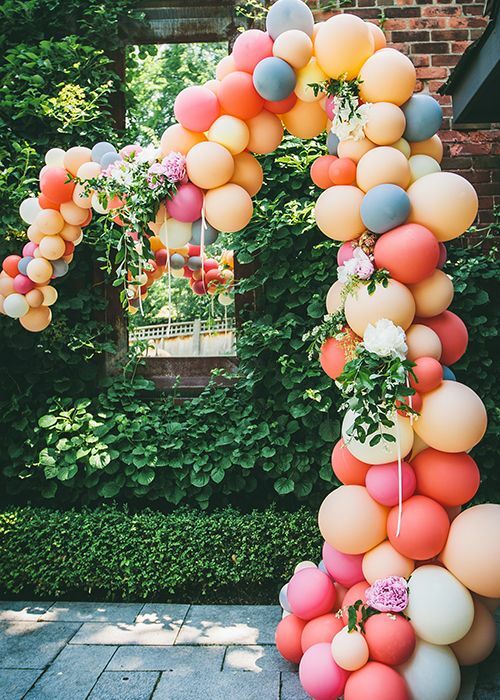 Learn how to make a balloon arch yourself at The House That Lars Built! 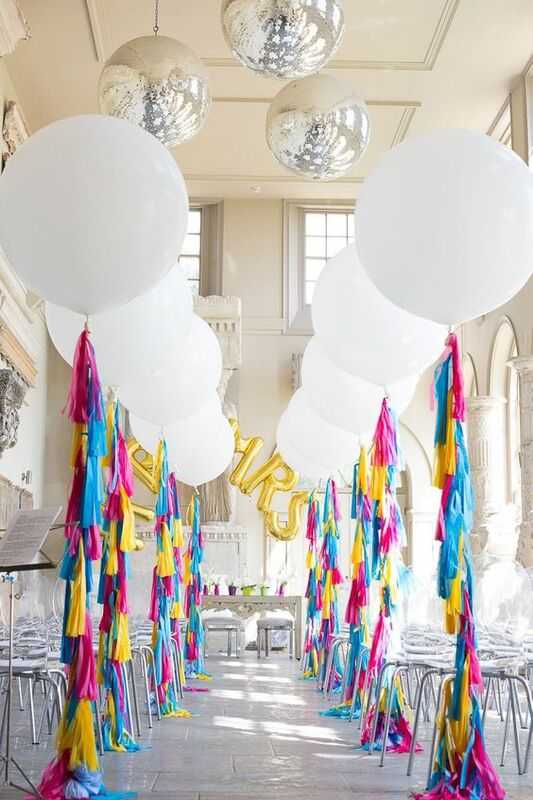 This rainbow aisle spotted at Rock My Wedding made me so happy! 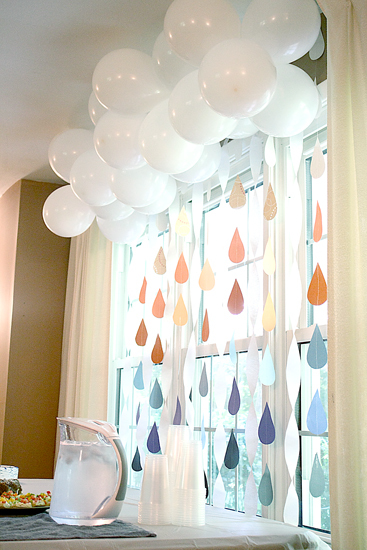 And perfect for a rainbow-loving kid party. 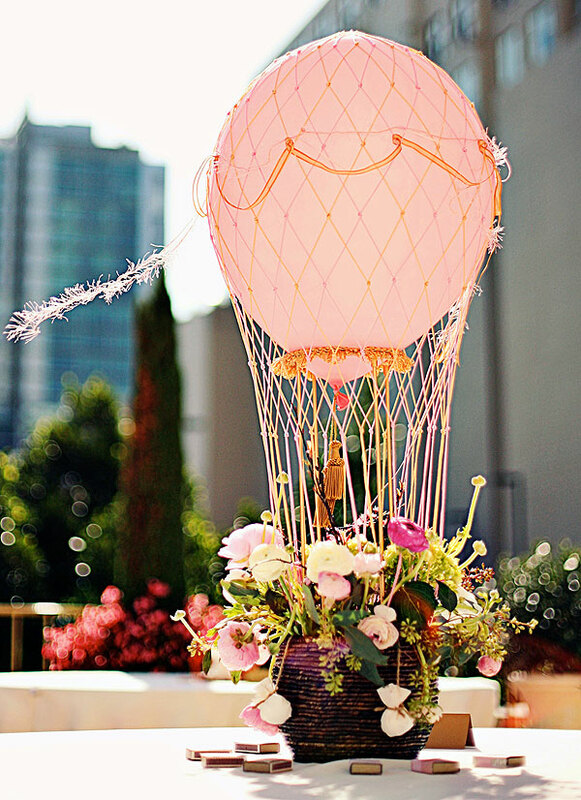 Adore this hot-air balloon centerpiece spotted on Bridal Guide. 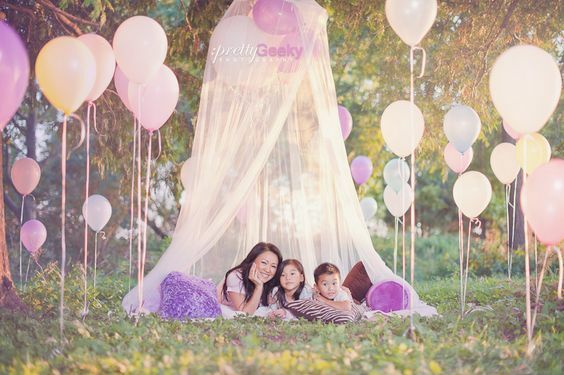 Everything about this picture spotted on Spearmint Baby makes me so happy. Pretty Geeky shared the great idea of using golf tees to secure balloons to the ground. Magical wonderland! 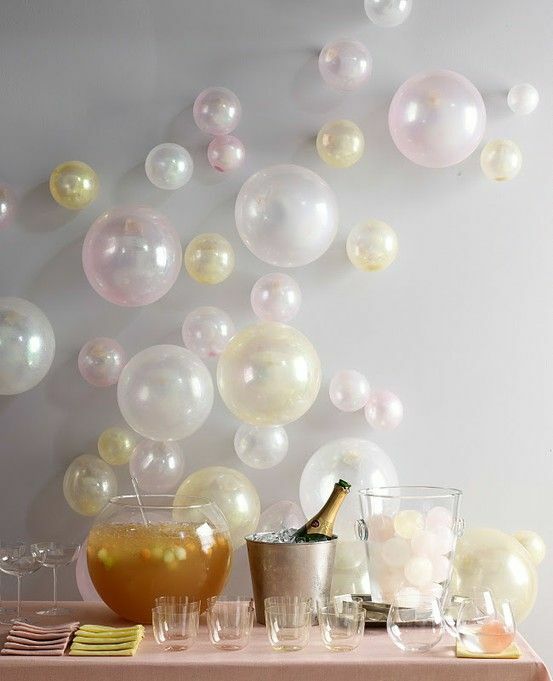 Love attaching the balloons right to the wall as seen on Honey & Fitz. A balloon cloud! So cute! From Em-el-ie. 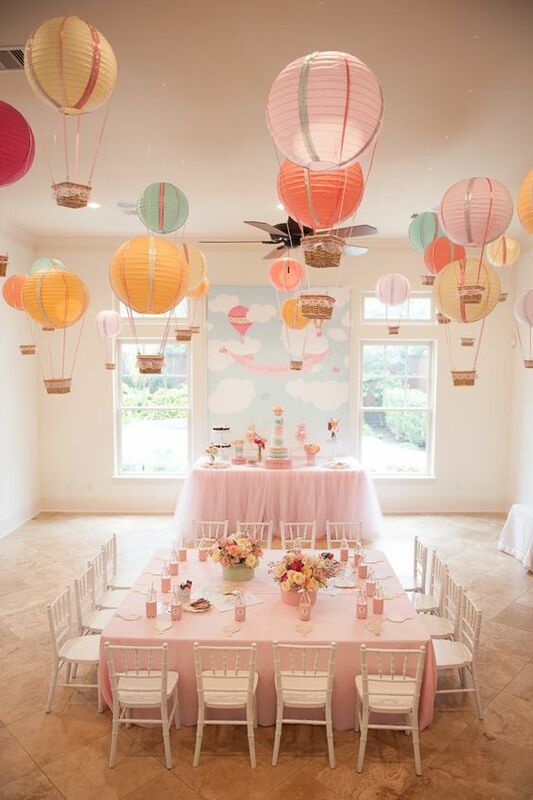 More amazing hot-air balloons, from Kara’s Party Ideas. 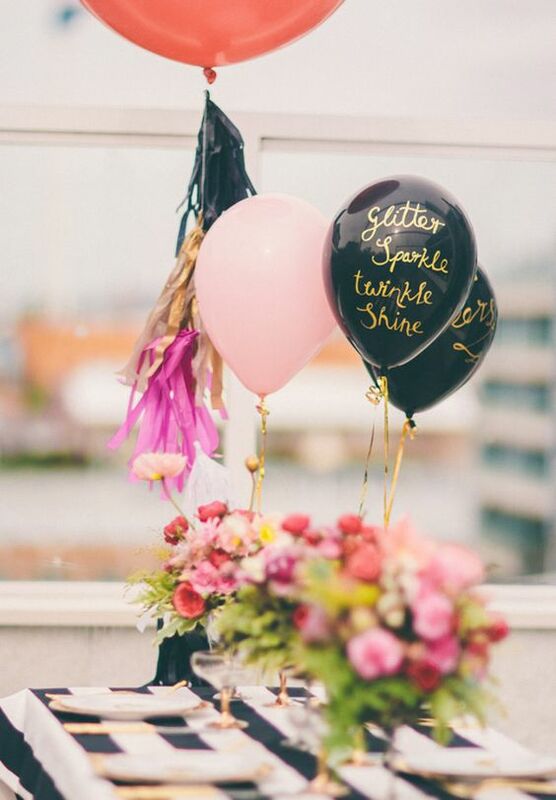 And I love the idea of writing on a black balloon with a gold pen from Hello May.